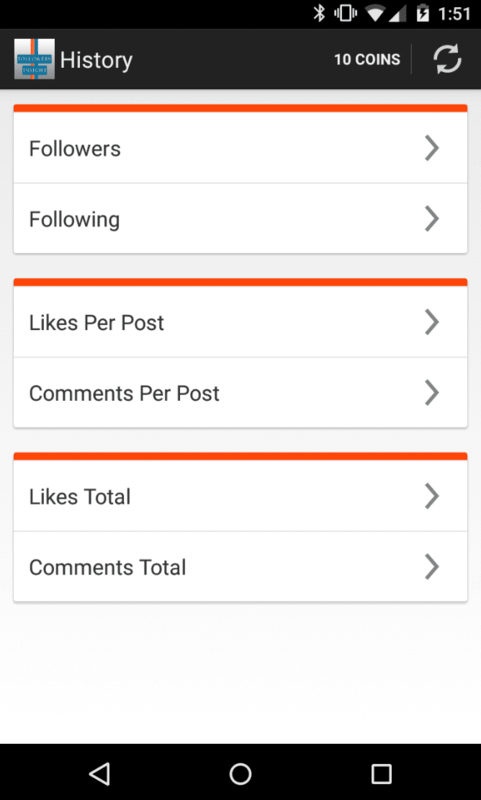 Reports+ Followers Analytics for Instagram is a powerful follower analysis application available for Android and iOS users. comments and likes per post. followers you don’t follow back and followers not following you back. In addition to many free features, you can upgrade your Reports + account to Pro, and get access to data on your Instagram page, which no application will provide you. See your recent profile stalkers. Track top viewers, least viewers, your best followers (most comments and likes). 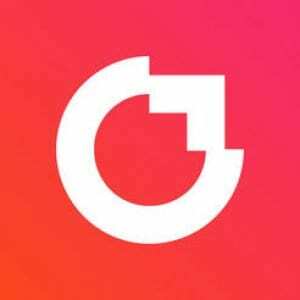 Crowdfire is one of the best tools for Instagram. The free application allows you to choose the perfect time for publication and the most appropriate hashtags to increase audience engagement. 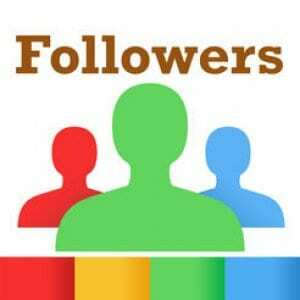 It also provides an opportunity to increase the number of followers and discover new followers and unfollowers. Have you ever noticed that the number of followers decreases? Agree that it is interesting to find out who exactly unfollow? 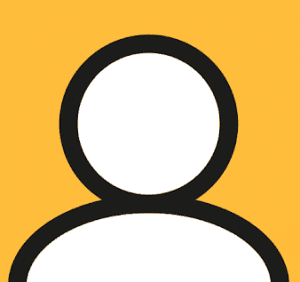 With Crowdfire, you can easily find inactive users and unfollowers. Whether you want to mutually unfollow is a personal question, but at least you will know it. Find new followers and track how updates in your social media affect the number of followers and unfollowers. 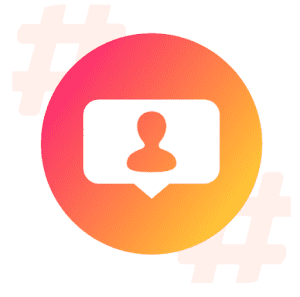 Crowdfire for Instagram usefully complements this social network, not just allowing you to see who has ceased to be a subscriber but also offering other interesting features. The only application problem is slightly unstable operation on some devices. 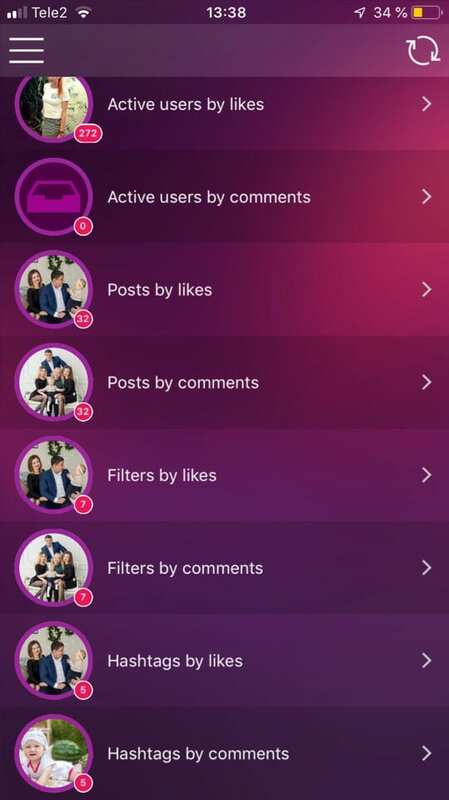 Social Scan is an indispensable application for everyone who monitors his account on Instagram. It helps to see active users, those who followed/unfollowed you in one place. 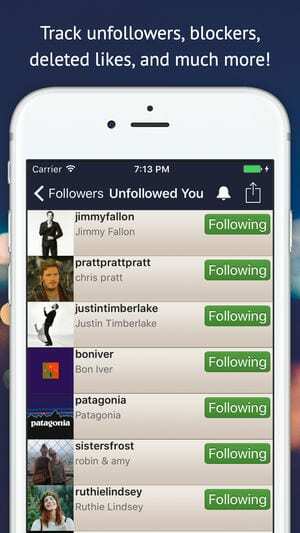 The program allows you to see everyone who has unfollowed you on Instagram. Also, you can view the sum of likes, comments, total posts and so on. Social Scan takes up very little space in the device’s memory and will please you with a pleasant minimalistic interface. 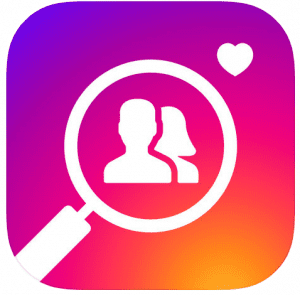 Followers for Instagram Spy is a smart tool for iPhone which provides follower statistics of your Instagram account. If you have several, you can add them too. But you need to upgrade to Premium version for this as well as to use all the options of the program. You’ll get information about a number of followers, who unfollowed you, which users are not following you back, who likes and comments your posts, and who deletes their likes/comments. 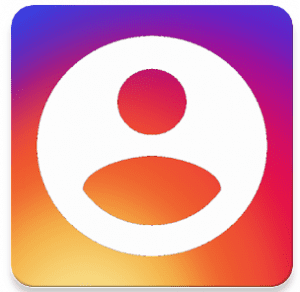 Followers Plus + For Instagram is a really simple application with which you can increase the number of followers to your Instagram account in a very simple way. This application consists of a community of users who want to increase the number of their followers who subscribe in response to those users who follow them. 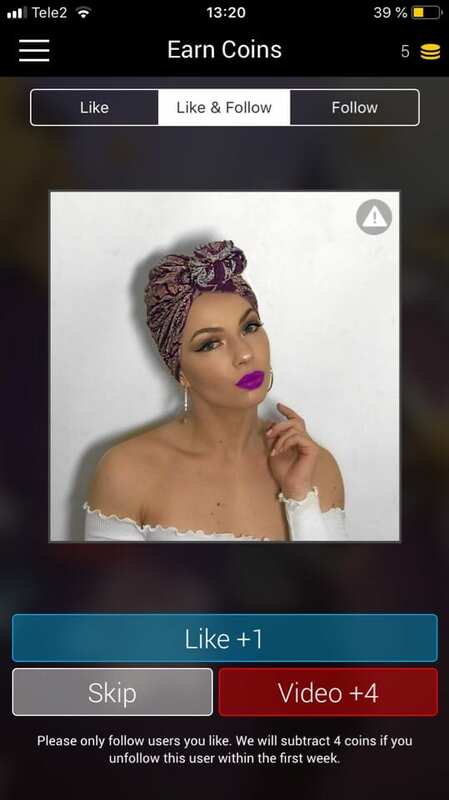 When you first download the app, you should log in using your Instagram account. You can add multiple accounts. 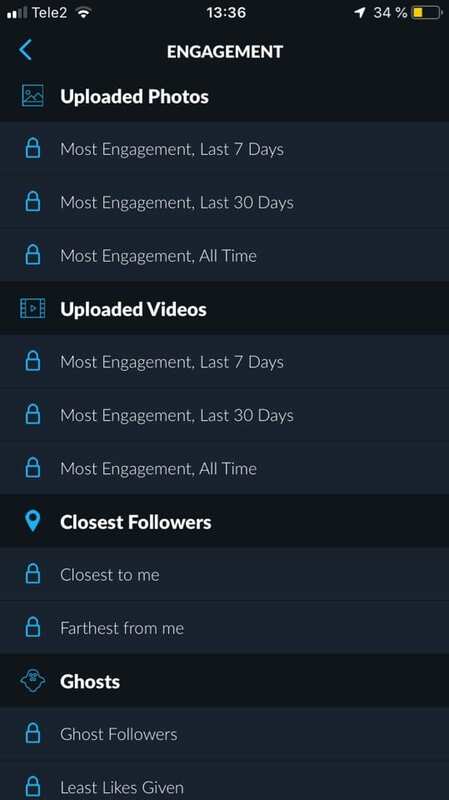 On the main screen, you will track your account analytics (a number of new followers, users who have unfollowed you, not following back, who blocked you, and some other parameters). The application uses virtual coins in order to increase the number of followers, and this is done very simply. 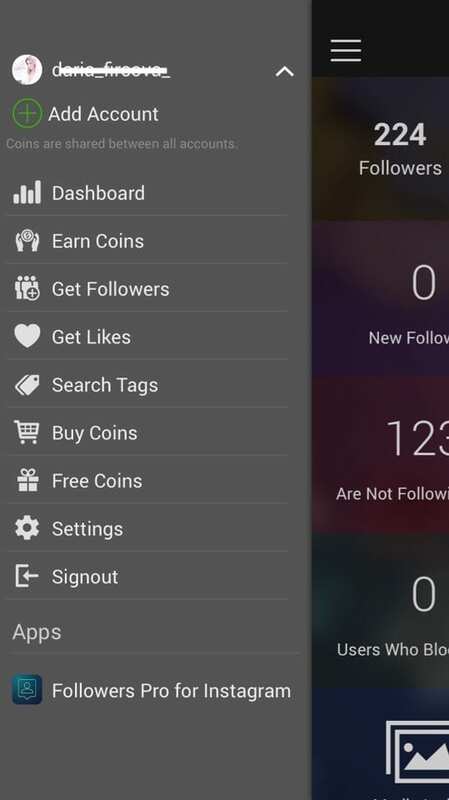 With the help of these coins, you can buy followers. 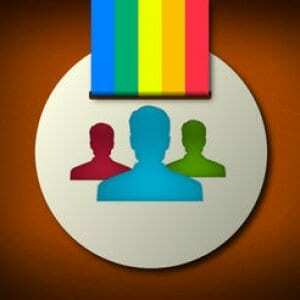 In the Earn Coins section, you can get coins for Likes (+1), Like & Follow (+4), Follow (+4). 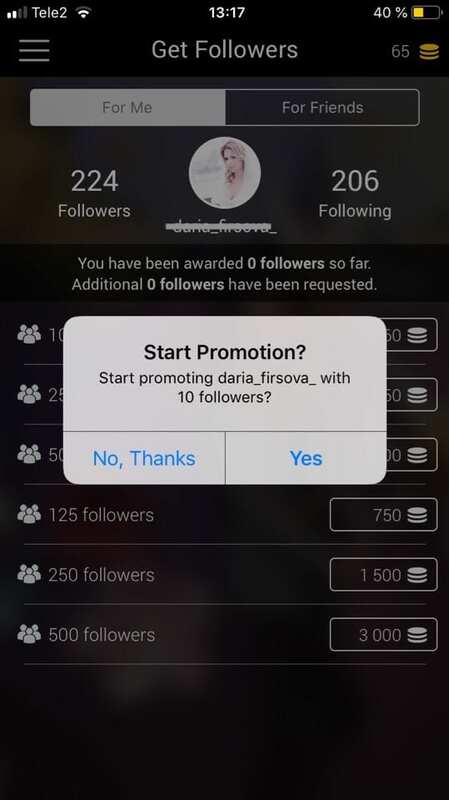 If you want for example to follow one of the offered users, you will earn four coins, and the other person will see your profile and also follow you. This is exactly how Followers Plus + For Instagram works: the more people see your profile, the more followers you will have. There is another way to get followers – use your coins. 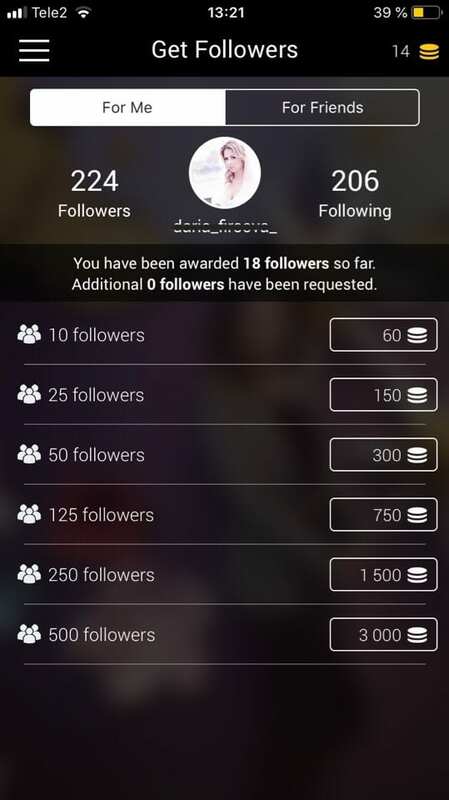 If you want someone to follow you, you will need to use a minimum of 60 coins, so the more coins you earn by following to other users, the more followers you can “buy.” Thus, Followers Plus + For Instagram helps to get new followers. You can also get free coins by watching short videos, inviting friends and downloading other apps. Or you can buy coins for real money. There are several packages. So, the more coins you buy, the better discount you get. So, the application offers a lot of possibilities. When you switch between several accounts, coins are shared between them. The main advantage of this application is that after registration you will not have to make a lot of effort so that the number of followers will gradually increase. 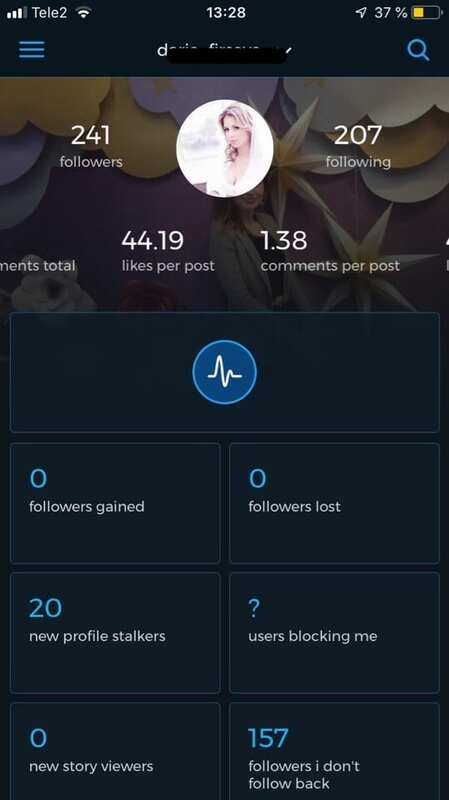 If you often use Instagram and are looking for a tool to improve your social network or want to start managing all your account movements to better use it, InControl Stats for Instagram is a good tool that provides relevant statistics. 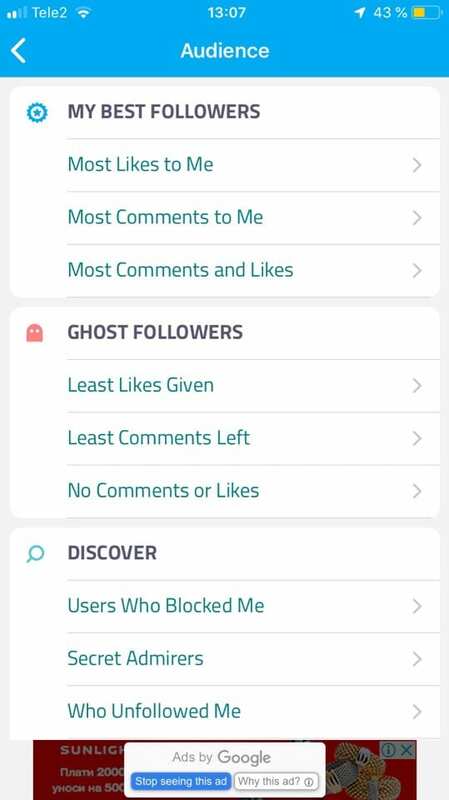 all your ghost followers, that is people who have never interacted with your posts in recent months. Also, discover people who blocked you, secret admirers, who you liked most, nearest followers. With all the details that you learn with InControl Stats for Instagram, you can get a full report on your activity to help you plan your publications, know your audience and improve your account, get followers and increase activity in your profile. Some application functions require a premium subscription, for example, Graphic Pack, Multiple Accounts, Loss Reports. You should subscribe to access detailed daily analytic from your Instagram account. This is an application that can be useful to anyone who regularly uses the popular social network. Thanks to it, you can find out who has unfollowed you. 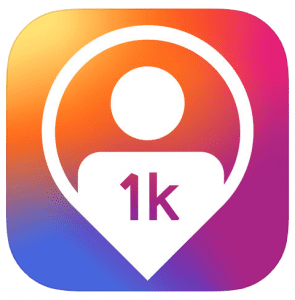 Followers Track for Instagram! 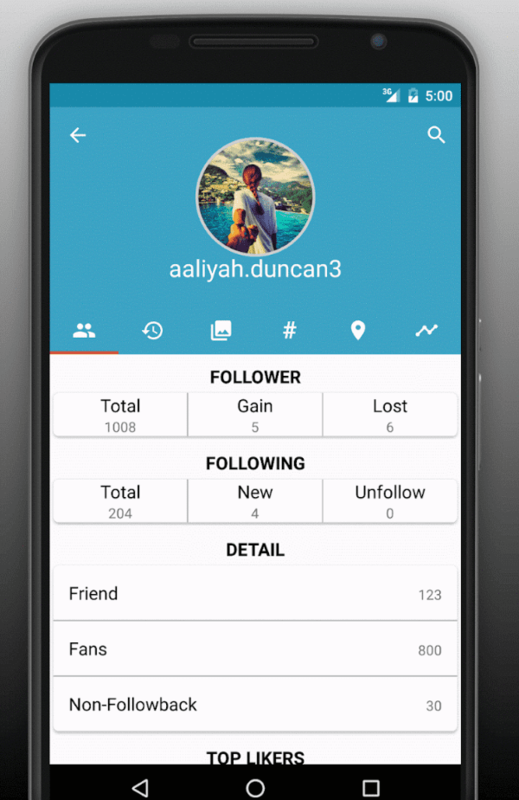 also allows you to keep track of new followers, fans, blockers, deleted likes, etc. 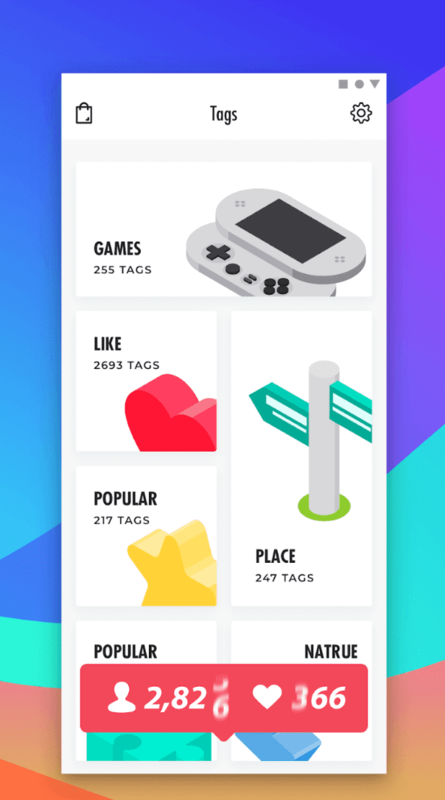 Followers Track for Instagram! 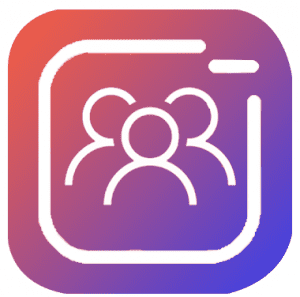 is a manager for your Instagram account, which has much more functions than the official application. In fact, it includes a lot of interesting information, such as a list of your most active followers, or who of them are spammers. With it you will have access to a lot of interesting information about your account. 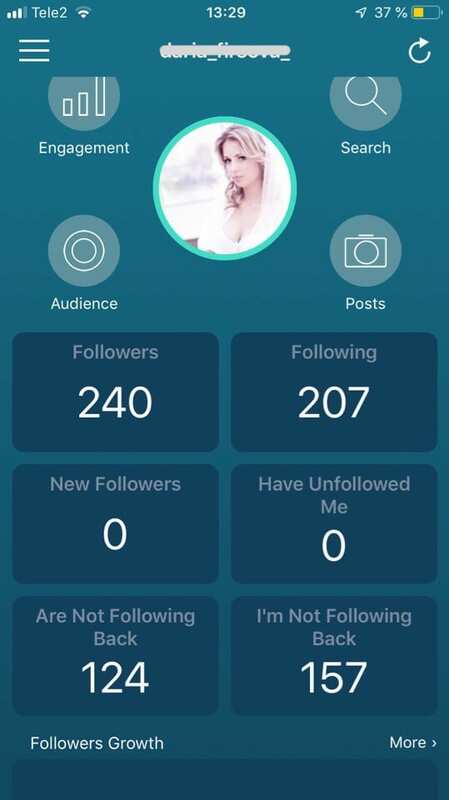 Unfollowers For Instagram & Non-Followers 2019 is an application that allows you to quickly find out who from those you follow are not following you. 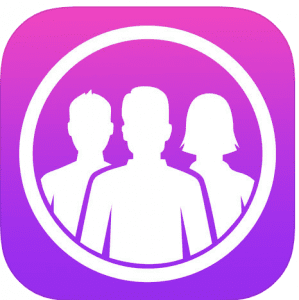 Moreover, you can unfollow them directly in the application without any problems. Another function of Non Followers for Instagram is that you can see who recently unfollow from you. However, to use this feature, you must install the application and not delete it from your mobile device. This means that you can only view users who have unfollowed from the moment you installed the application. You can either unfollow a single user. But the most interesting feature is a massive unfollow with one click. 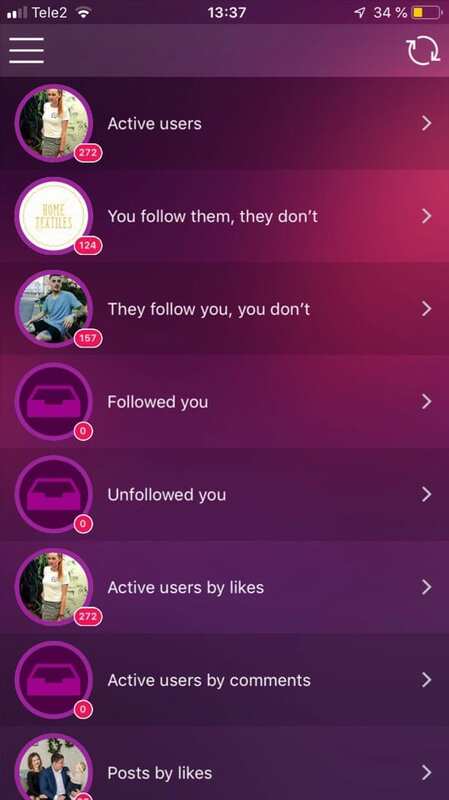 If you seriously track the list of friends and don’t want to read unfollowers, this application will get rid of the latter. Instead of manually correcting the list of friends, just click the “Unfollow” button. You can clear the list from the top and bottom – from those whom you follow later and earlier, respectively. At one time, you can get rid of 20 unfollowers. 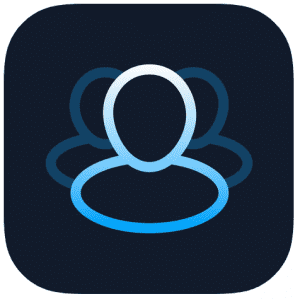 The Followers –Unfollowers application warns that it’s undesirable to unsubscribe from more than 200 accounts per hour and more than 1000 per day – this will lead to profile blocking. Everyone wants to have more followers. See how many new people follow you every day and use these statistics to increase this number. In this, the following application will help. 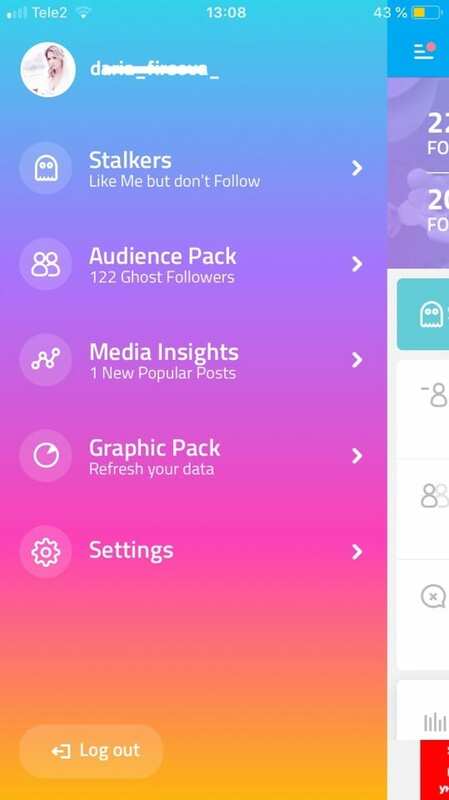 Followers Pro + for Instagram is a fast and accurate tool for followers analytics. 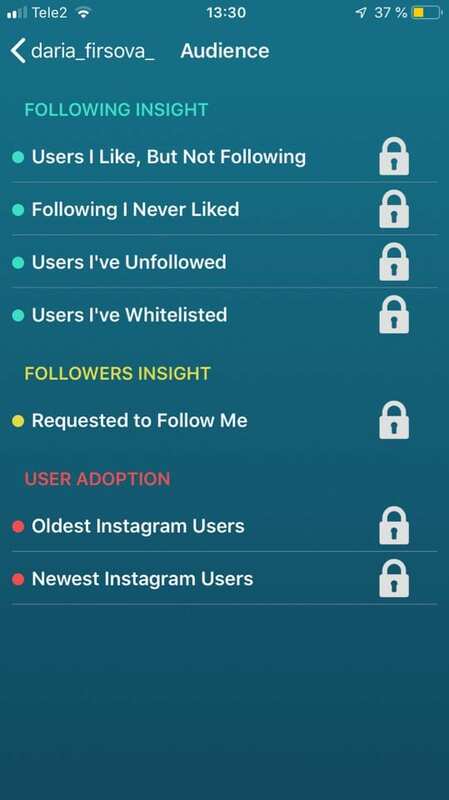 Here, you can track your Instagram followers, find out who unfollowed you on Instagram, who is not following you back, detect blockers, view your fans, and much more. In Premium version, you can add multiple accounts, access all analytics, follow and unfollow users. It is very difficult to find a free application with good features. 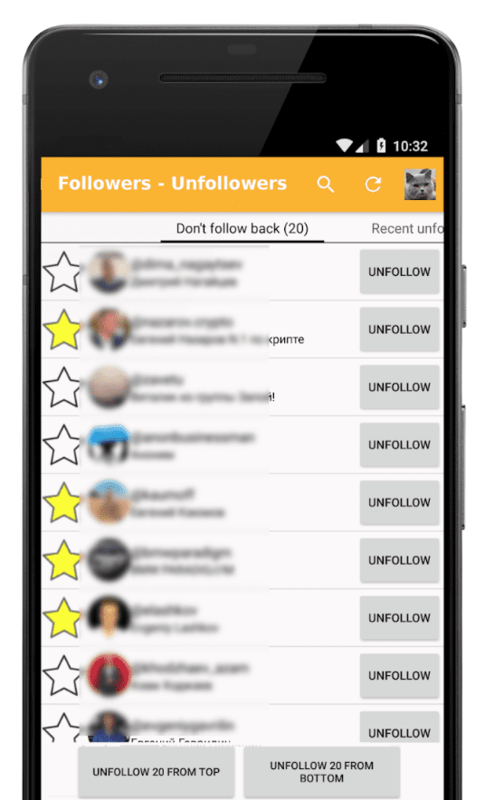 We recommend trying the Follower Analyzer application for Android. There is advertising, there are paid tools, but generally available and relatively acceptable. 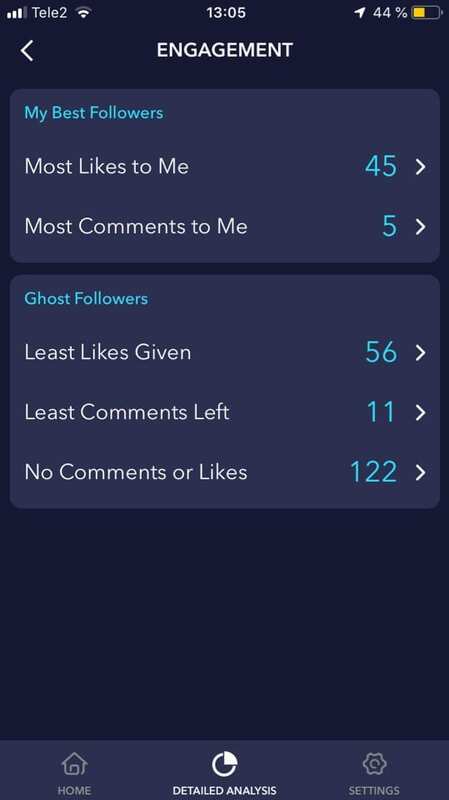 it’s possible to analyze the data of your account and the profile of friends and acquaintances (see most liked post, top likers, top commenters, most profile tagged in their post and other activity). The application is great for those who wanted to unsubscribe from inactive accounts and bots. 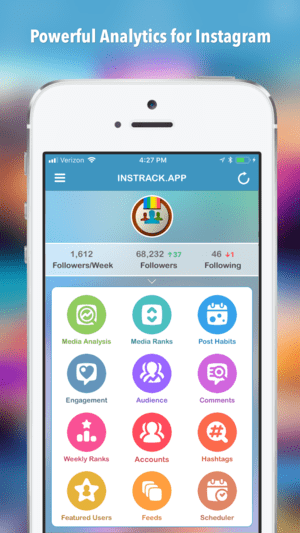 InsTrack is a simple tool that gives you complete control over everything related to your Instagram followers and provides access to statistics about your activity on this social network. 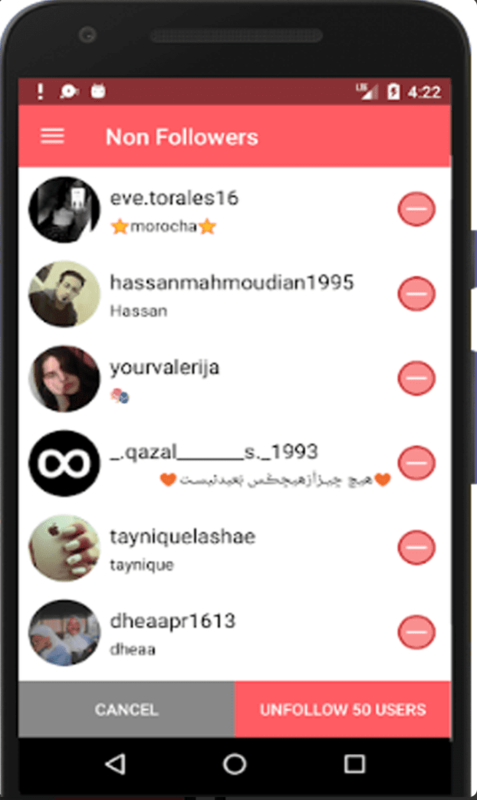 This application is designed to inform you whenever someone follows or unfollows you, as well as to inform about those users who you follow, but who don’t respond to you. 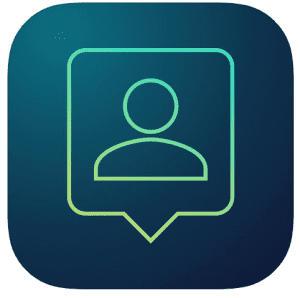 InsTrack also shows information about users, such as the total number of your subscribers and photos, the total number of likes of each photo, and other weekly statistics. 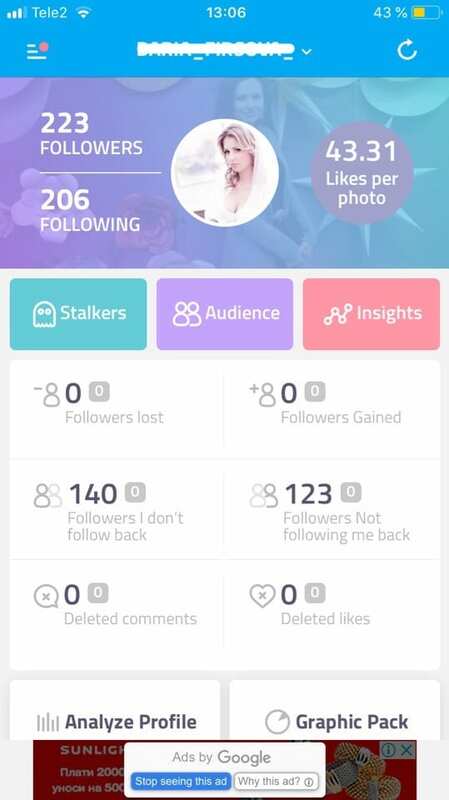 If you want to be aware of everything, including, who has unfollowed you on Instagram, then InsTrack is the perfect tool to instantly provide you with detailed information. You can switch between multiple accounts. Noticed that followers are unsubscribing from your Instagram, are there secret fans that you don’t know about? 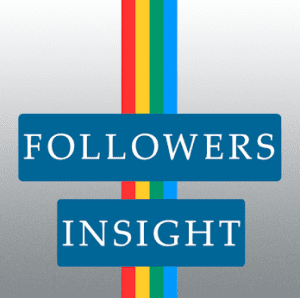 Find out who these people are using the smart application Follower Insight for Instagram! 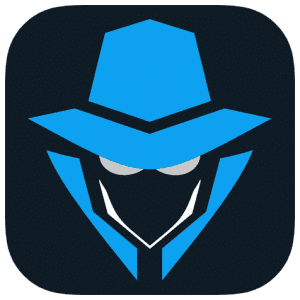 The program allows you to track accounts and detects things that you previously didn’t suspect. Especially enjoy the feature that shows how many accounts have subscribed to your page and how many have unsubscribed. Identify those subscribers that you have in the block, bring back followers who stopped following you, track who likes publications most of all, discover potential spammers and less active users and attract friends by increasing the quality of your page. To use the utility, you need a registered profile on the Instagram network. This is the simplest application to track your followers’ activity. Discover who follow you, who view your profile, who block you or unfollow, and so on. 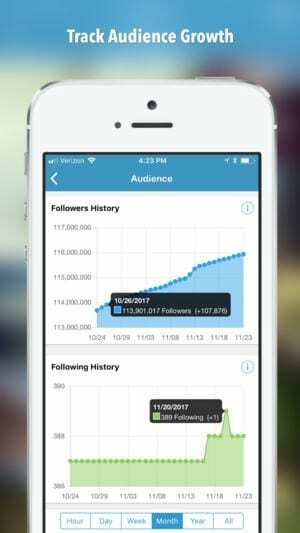 Followers Tracker – Ins Report is available for free for iPhone users but for detailed analysis, you should upgrade to Follow Tracker Pro. You will unlock all Pro functions and remove irritating ads. There is a free 3 days trial to evaluate all the usefulness of this version. You can also add several of your accounts to the application and be able to quickly switch between them. You no longer have to log in every time you just want to see the visitor statistics. 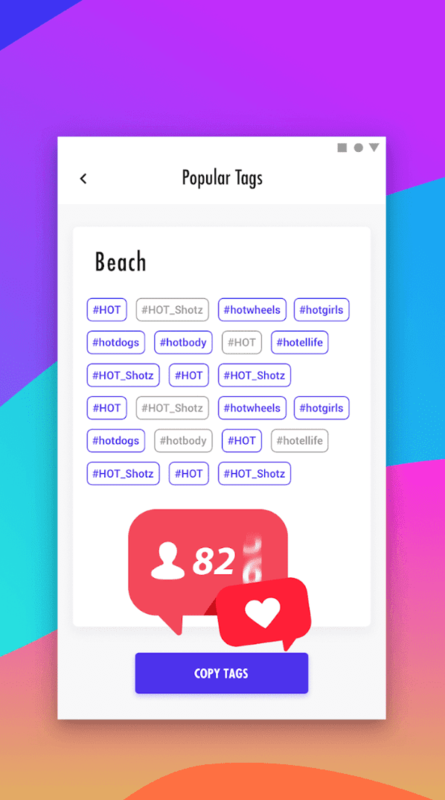 InstantBoost: Boom Likes Tags and F0llowers is a free tool for Android OS, created by the developer Adam Hero. 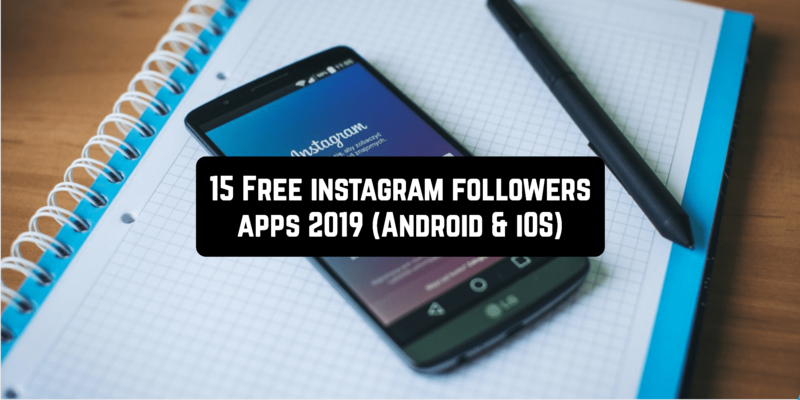 It will help Instagram users get additional real subscribers, likes from them and comments. All services within this program are purchased for conditional currency (coins) or for real funds. You can buy coins in the virtual store and earn money by subscribing to the random people, for liking their photos and commenting on posts. “Shop” – a program store that helps the user to get a specific number of followers, likes and comments for real money. The more people you need in Followers, the more money you will have to pay. 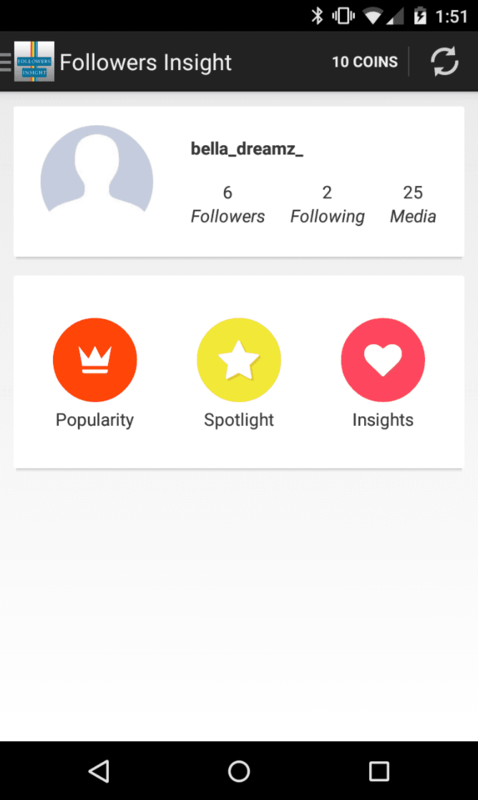 “Daily Followers & Likes” – set up daily subscriptions through this app. “Coins” – various ways to earn coins. You can get a conditional currency on slot machines, for following the pages and liking posts of other users, and for installing some applications. 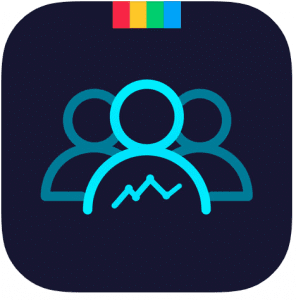 “VIP” – upgrade your profile to professional status in order to get discounts, open access to a personal assistant, turn off advertising inside and earn 10 additional f per account every day. 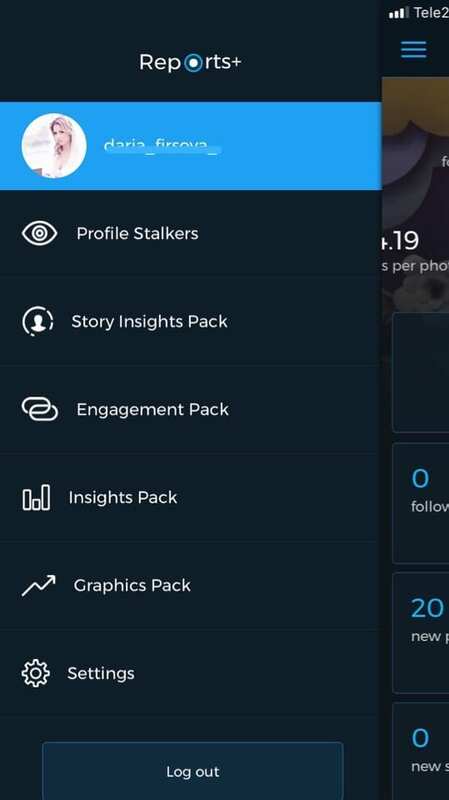 To connect your Instagram profile to the program, just click on the “+” icon in the upper right part of the screen. After that, you need to enter your username/password and confirm the action.